Mixed successes in avoiding plastic – Plastic Free July. Loo roll wrapped in a compostable plant derived alternative to plastic. So, since starting out with plastic free July I really haven’t had time to sit and write – instead I have been sharing some pictures of some of my plastic free efforts over on Instagram which is easier to do as I go along. Do pop over and have a look. My 2 initial pledges were to replace plastic wrapped snacks such as crisps, and to find a local milk delivery in glass bottles. Well, so far so good. We had our first glass bottle milk delivery last Monday. There is no denying that it is considerably more expensive than plastic bottled supermarket milk, but the additional cost is more than offset by the saving we have made since we swapped from individual plastic bottles of fizzy water to a Soda Stream back in September. And it somehow seems really nice to open the fridge and see a couple of glass bottles with nice green foil lids. Plus, we are supporting a local dairy. Finding a feasible regular alternative to crisps and other plastic wrapped snacks has been a little harder, although I have managed not to buy any more once I finished off the couple of bags in the cupboard already. In the first week I was really enthusiastic and made flatbreads, cut into triangles and baked with cajun spices and popcorn – seasoned with a little melted butter, salt and plenty of black pepper. In the second week I managed to buy cashew nuts loose (into a reused plastic bag – most suitable thing I could manage to find) to last me the couple of days in the office. But I can only buy them near my work, not near my home which means my half hour lunch break was pretty much taken up with getting these. In the 3rd week, things were getting really busy at work so I didn’t have a chance to buy nuts. I baked some cake at home but then had no time or energy to make savoury snacks too so ended up taking along the spare crusts cut off son’s sandwiches as an extra filler – it did stop me being hungry but was a bit dull as snacks go. I had one go at making my own crisps but managed to burn them and even the burnt ones were soft rather than crispy by the time I wanted them at work the next day – so I clearly need to practice this! I haven’t asked the rest of the family to join in with giving up crisps etc but my son did enjoy popcorn in his packed lunch a few times instead of usual crisps. Another week I gave him tortilla chips from a larger bag for less pro-rata plastic but he got bored with that after a couple of days and didn’t eat them. At the start my husband forgot and bought home plastic wrapped chocolate a few times – but now he is remembering to look for the card or paper packaged ones which are fairly easy to find. Accidentally making granola – started out trying to make some raw energy bites ( oats, honey dried fruit and seeds) but I just couldn’t get them to stick together so baked the crumbly mess instead and it tasted great. Making sweet and savoury popcorn ( the kernels were in a plastic bag but makes lots of portions) – my favourite is to coat in a little melted butter and sprinkle with salt and pepper. Finding that a local shop sells recycled toilet roll in compostable packaging – with no plastic! I’m quite pleased with that and although I am not going to promise never to eat shop bought crisps, I will be making some of these changes on a more regular/permanent basis. Next I am going to try loose tea to avoid the plastic in the bags. I already buy our coffee this way and the same shop sells loose tea so will be trying that this afternoon. When I wrote this last week we were about to go off to a festival which I suspected would rather ruin my plastic free efforts – more about that in another post as this one’s getting rather lengthy. Last week we finally got around to going to a spa for a rhasul steam temple couple’s experience my husband had bought as a “zero waste” experience Christmas gift, influenced by my efforts at natural cleaning/haircare. 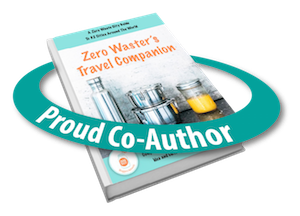 So, how zero waste did it turn out to be? We arrived early at Henlow Grange Champneys Spa. I’d been anxious to set off early – it’s a 45 min drive away along a busy route and we had been given a 9am start time which I had (incorrectly it turned out) presumed was the time of our rhasul treatment . This meant we were the first there for the day. We were welcomed with an information pack in a resealable plastic wallet (which was practical for keeping the information dry) and shown through to a lounge where there was unexpectedly some breakfast and a juice (in a glass but with a plastic straw in already). Someone came through to explain everything to us – really helpful as it was our first time there. I had to interrupt as they launched into the promotions on haircare treatments and beauty products ( given the rhasul clay was all I was planning on using). Then we were shown to the spa area and given dressing gowns (to return at the end of the day) and a pair of white plastic Champneys flip flops each (in a sealed plastic bag) – ours to keep at the end of the day. Our treatment wasn’t actually until midday so we had plenty of time to use the pool, steam room, sauna etc until then. There were plenty of water dispensers around to keep drinking after the sauna etc but I hadn’t thought to bring a water bottle along with me – there were disposable plastic cups, individually wrapped in plastic – so the best I could manage was to pop the cup into the pocket of my robe so I could reuse it for the duration. There was also a gym, and a range of exercise classes we could have attended during our day although as we were there to relax we focussed on the pool. We visited the cafe and I ordered a Green Goddess smoothie – a mix of broccoli, spinach, mango, pineapple, banana and apple juice. I know – a broccoli smoothie sounds a bit weird – but it tasted really good. However, I was disappointed to see the smoothie was in an individually plastic bagged portion from the freezer – I really should have learnt this about ordering smoothies out by now. I did manage to stop the plastic straw going into the glass though, and tried to explain that I was trying to avoid single use plastics. I obviously didn’t explain it properly as the waiter then offered to get me a plastic glass to pour it into! Anyway, on to the main event, the rhasul clay steam temple. I had been looking forward to trying this, in particular to trying the clay as a shampoo alternative. I had been saving washing my hair until this so was a bit concerned when it wasn’t until the end of the morning but my hair already felt pretty cleansed by the time I had used the steam room a few times. The staff member who explained the process to us had never heard of using clay to wash your hair but happily gave me a bit extra so I could try ( you otherwise get a small bowl containing 2 different clays for face and body). What we weren’t expecting, having come prepared in our swimwear, was to be told to strip off and just wear some very skimpy paper knickers! Suddenly I was very glad we had exclusive use of the steam temple. The steam temple is a hot steam filled room with low lighting (lights twinkling like stars in the roof) and gentle music, with Moroccan decor. You cover yourselves with clay and then relax as the steam cleans you – at least it was relaxing until I managed to drip the clay into my eyes while using it on my hair and then wiped red clay all over the white towels and the white robe I needed to wear for the rest of the day. The attendant did come in to provide fresh water for us to drink a couple of times during the 45 minutes which I suspect meant I ended up using a few more plastic cups. Towards the end of the time warm water pours down from the ceiling to rinse the clay away (there was also a shower hose I used to rinse my hair). I then headed off into the changing room showers to do a vinegar rinse on my hair – needed to balance the PH of the clay, before we headed off for a buffet lunch and a coffee. All in all it was a really enjoyable relaxing day, particularly as son was away on a residential school trip meaning we didn’t need to rush back for the end of school. In terms of waste, it wasn’t too bad overall but there clearly were a few things that could be avoided were we to go again, which we hadn’t thought of this time. Definitely take along a water bottle (they were trying to sell their own plastic branded ones). You may be able to take your own flip flops as well as we did see some people wearing different types. I think I will be inclined to avoid smoothies now unless they are clearly freshly prepared (as they seem to do in Wagamama) rather than frozen. And I guess we could have refused the paper pants and stuck with our swimwear. The clay cleaned my hair well and gave it a lot of volume, although I did find the texture rather strange and dry for a few days. It’s now 9 days later and I have only used one vinegar rinse on my hair since and it still feels pretty good so the clay is something I might well add into my hair routine as an occasional alternative to the soapnuts I have been using lately. So , you may or may not have already heard about plastic free July. Although I had heard it mentioned over the last few months, I was reluctant to sign up – we have already reduced our waste, including plastic, a lot over the last year, but we are still very far from plastic free. Totally plastic free just sounded a little too scary. So I was relieved to see a post on Facebook referring to it being about the plastic you manage to avoid, not what you still use. That was just the bit of wriggle room I needed to get on board! There is lots of information about plastic free July, and plastic free living in general over at plastic is rubbish. Now I need to think about what new swaps I can make for plastic free July, in the hope of getting the level of waste in our recycling bin down to the small level we now have in our landfill bin (thanks to our local authority taking almost all food packaging for recycling). Find plastic free alternatives to crisps/savoury snacks to help me avoid these for the month.. Investigate local options for milk delivery ( we have used local milkman in the past but it was in plastic and they foten struggled to provide organic so more research needed here to see if there are alternatives). 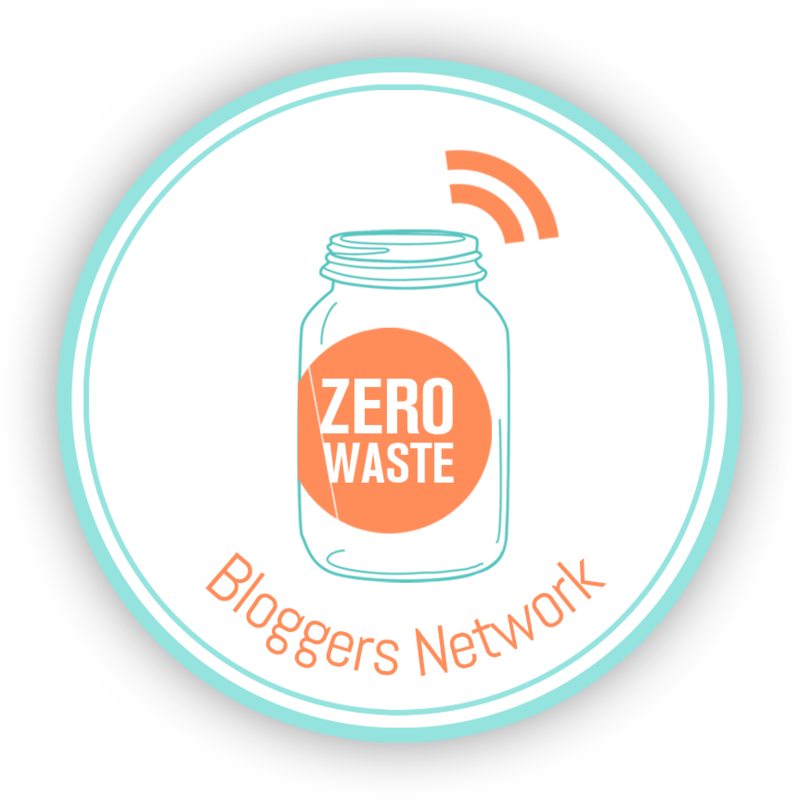 If you are joining this challenge, I’d love to hear about any great plastic free finds. I’ll be getting to grips with Instagram to share some of my plastic free swaps as I go along (@busygreenmum) as well as via the Twitter and Facebook links you can find at the top of the page.